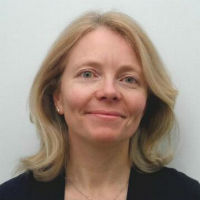 Dr Daphne Josselin is a Registered Counselling Psychologist, chartered with the British Psychological Society. She works as a lecturer, tutor and research supervisor on the Professional Doctorate in Counselling Psychology. Daphne spent many years working as a lecturer in International Relations at the London School of Economics (LSE). She then completed her psychology training as a mature student, first at the Institute of Education where she gained a Master’s degree in Child Development, and then in City’s doctoral programme. A native French speaker and long-time Londoner, Daphne works in both English and French in her North London practice, where she sees adults and adolescents. Daphne’s research interests include the construction of meaning around severe emotional and behavioural difficulties, and the use of pluralistic qualitative approaches in counselling psychology research. She draws on a range of qualitative approaches, especially phenomenological and narrative, and is particularly interested in work exploring self-harm and obsessionality. Josselin, D. and Willig, C. (2015). Making sense of self-injury: A pluralistic case-study. British Psychological Society, Counselling Psychology Section: Counselling Psychology Review, 30(4), pp. 5–15. Josselin, D. and Willig, C. (2014). Layering the wounded self: Using a pluralistic qualitative approach to explore meaning-making around self-injury. QMiP Bulletin, 17(Spring).